Derrick James Mason (born January 17, 1974) is a former American football wide receiver who played for fifteen seasons in the National Football League (NFL). He was drafted by the Tennessee Oilers in the fourth round of the 1997 NFL Draft after playing college football for the Michigan State Spartans. Following eight seasons with the Oilers (later called the Titans), including two Pro Bowl selections (2000 and 2003), Mason signed with the Baltimore Ravens in 2005. 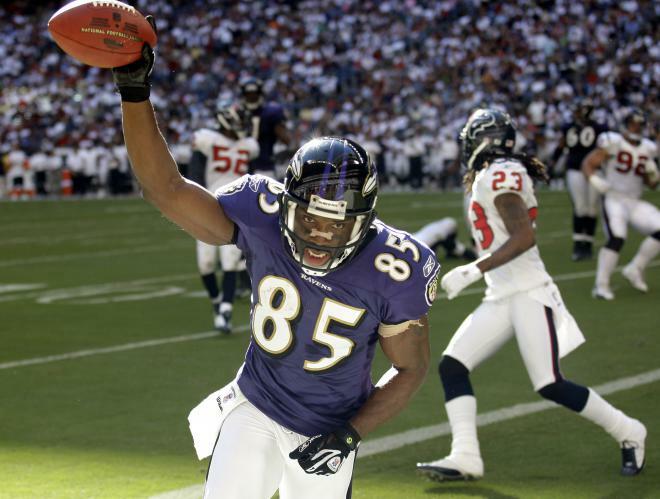 He became the Ravens' all-time leading receiver with 5,777 yards from 2005 to 2010, but he was released before the 2011 season. He spent 2011 on the New York Jets and Houston Texans rosters with little success. Mason decided to retire a Baltimore Raven on June 11, 2012.